Australian Homespun magazine is a place of inspiration; it combines creative techniques with a vast array of styles and themes taken from a team of leading craftspeople throughout Australia and the world. Australian Homespun is a publication that is at the forefront of the industry, made by people who are passionate about craft. Each issue of the magazine features step-by-step easy-to-follow project ideas and accompanying patterns sheets, a variety of crafts including quilts to bags to dolls, inspirational photographs of fantastic finished products plus interesting reads to engage and entertain. 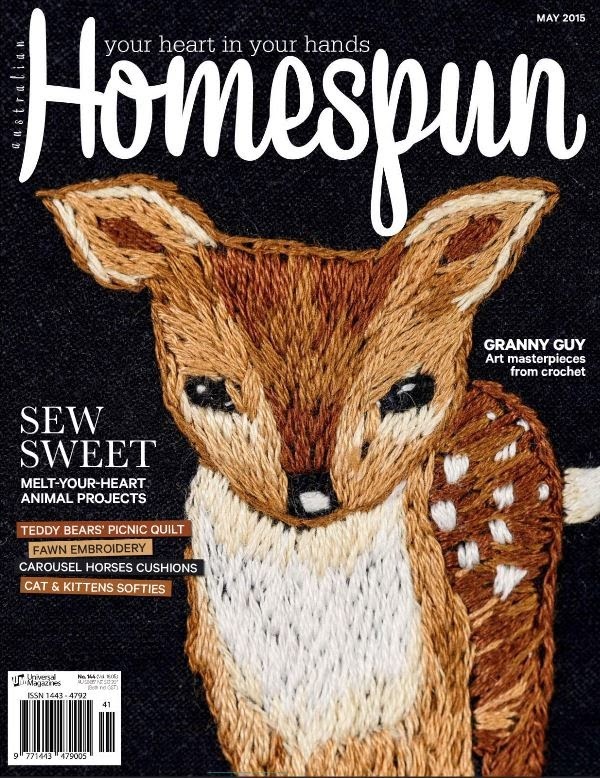 May’s edition of Australian Homespun is all about ‘melt-your-heart animal projects,’ so what’s not to love? Discover the pattern and instructions for making a teddy-bear’s picnic quilt and how to make your own carousel horse cushions! Plus, learning how to make cat and kitten softies is ideal for feline fans! Don’t miss out on this fantastic edition of Australian Homespun this May.